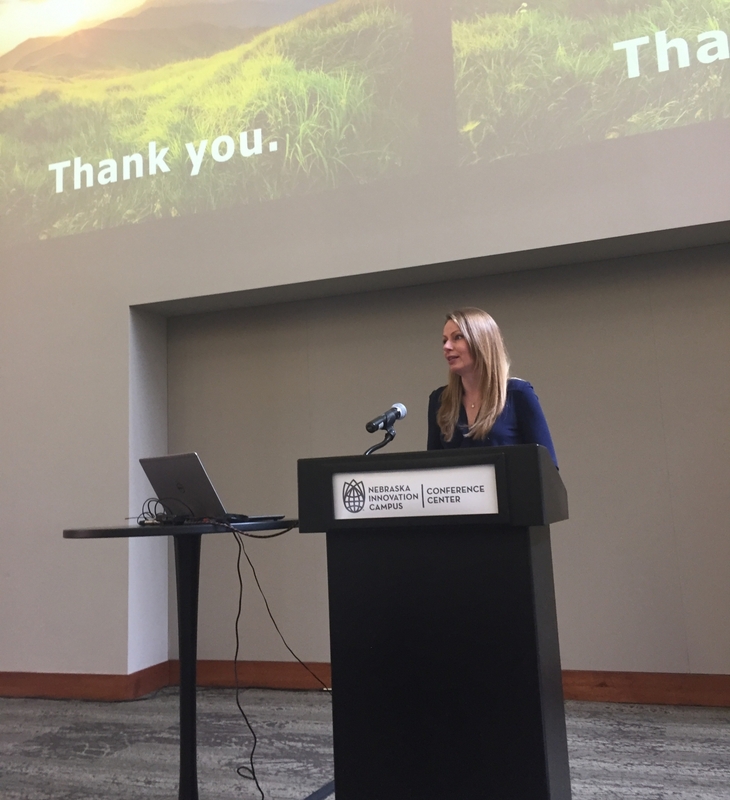 Keira Lombardo, Senior Vice President of Corporate Affairs for Smithfield Foods, addressed attendees on Tuesday during the University of Nebraska-Lincoln’s CME Group Foundation Symposium of the Yeutter Institute. Lombardo delivered the keynote speech addressing the Symposium’s theme: Changing Governments, Changing Trade: Impacts from Global to Local. During her speech, she provided the audience with a variety of information about the status of the global pork trade, the challenges and opportunities facing Smithfield and the industry, and how Smithfield is responding and adapting to the increasing global demand for its products. Lombardo also discussed how pork is the number-one consumed protein in the world and that 95 percent of the world’s population lives outside the U.S., which is why the U.S. exports nearly one quarter of its pork production to more than 90 countries around the world. Follow these links to learn more about the Yeutter Institute and Smithfield Foods.